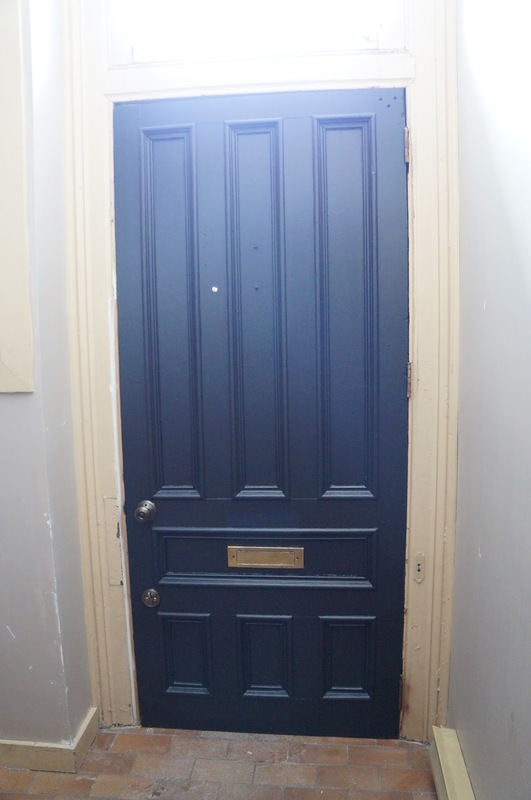 I do acknowledge that our doors were already pretty fantastic - old, solid wood, lots of interesting moulding details. I feel like this transformation is akin to Rachel Leigh Cook taking off her glasses in She's All That and suddenly everyone thinks she's beautiful. Except, I suppose, we put on her glasses. Or maybe we dyed her hair. I don't know. This analogy is getting confusing. 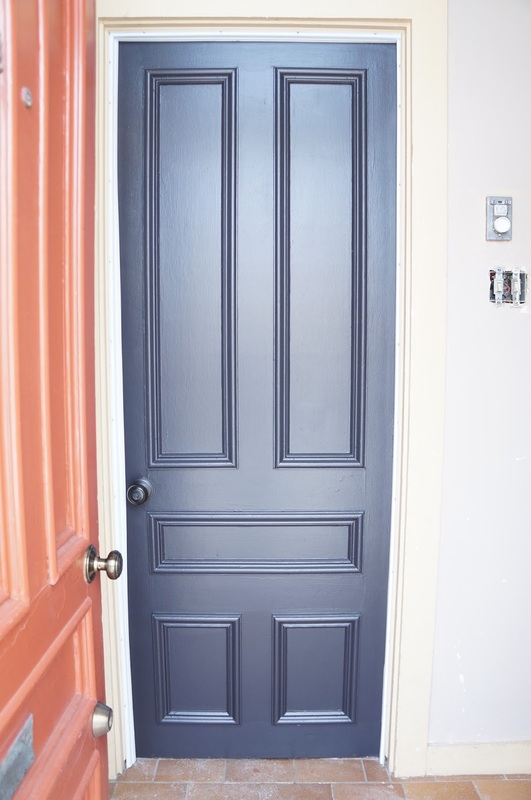 Basically, yes our doors were pretty awesome underneath - but even cheap doors look amazing painted black. Now it's time to move on to the next project on our list: Painting those dang walls. You can check out earlier iterations of the foyer here and here. P.S. Trying to photograph this tiny little entry is really making me aware of my need for a wide-angle camera lens! Sorry for the terrible angles!